While training this past weekend I shocked some veteran trainers with a little trick. While I didn't know the ins and outs of the trick, together we explored the feature (Thank you Santi, Stephanie, Anthony, and Cindy). 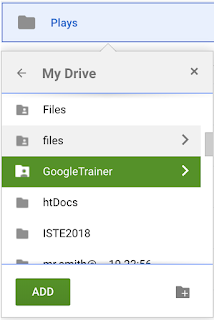 So from our collaboration here's a neat trick to further help organize your data in Google Drive. 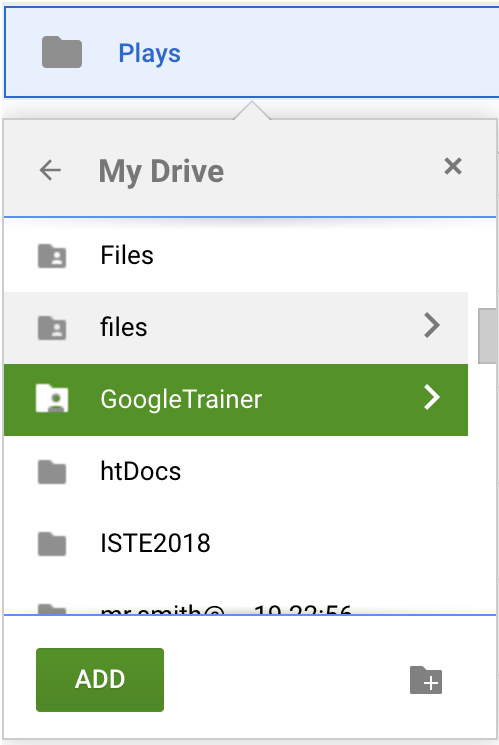 Ever needed to have a file or folder in two places at once? Perhaps you have your way of working and structure to your files but some one else needs to see those files in their own file structure. 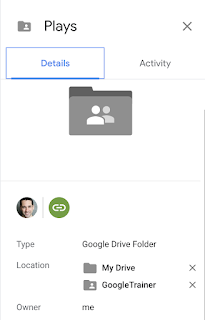 Welcome to Shift+Z for Google Drive. We look at and think of files and folders in a tree structure. This has been the structure of computer files since early on. But it's not actually how Google stores your files and folders. Google files are stored in a massive database rather than a traditional hard drive structure with indexes to addresses on a physical memory of your items. This database structure allows a lot more flexibility of your data. It's also stored in a column referenced structure so your data can be accessed much faster among trillions of other files. To take advantage of this structure files are marked with tags which indicate to us the visual structural layout. Because tags are metadata or data about our files much more information can be provided and our files don't really exist in true folder directories. You may be familiar with this with gmail. Adding Labels works in the same manner. Your message is visually located in multiple places at once. Click the file or folder you want to tag to another location. A selector will open asking where you want to tag the file to. Navigate to the other location. Once you have the new location selected Click Add. Your file or folder is now in both places. Right click the file or folder. The sidebar will show up on the right. Clicking the X by a location will remove it from that location. I have admittedly been sitting on this for a while now and have just had the opportunity to post about it. 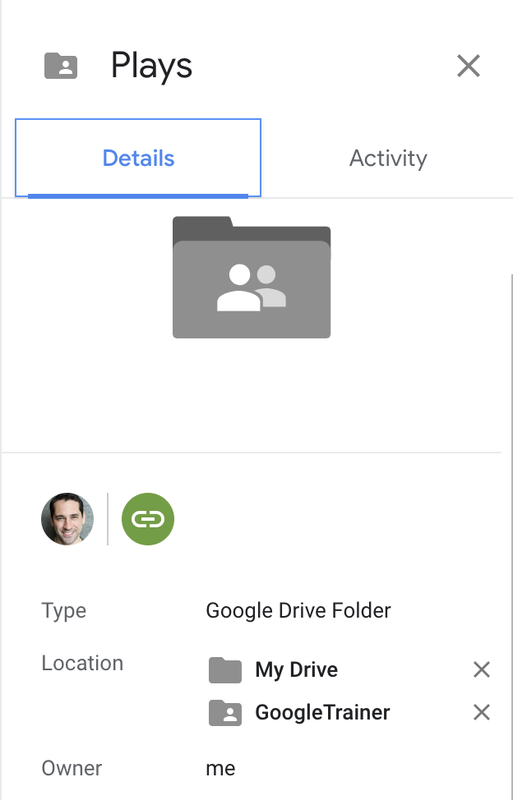 How can we take advantage of Google's Tour Creator in education even when we don't have a 360 camera? Make Tour Creator Drawings with your class! 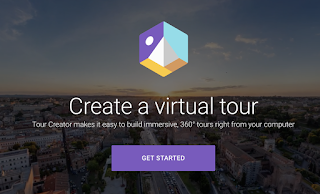 If you don't know Tour Creator yet it's a web browser app online from google which allows users to create 360 immersive tours. Traditionally we think of these tours using photos. Here's my tour I made of Auschwitz. But we can also create the tour using drawings. Here's my sample drawing tour (turn the sound on for this). Well how did I do that and how can you do it? Easy. Below is my brief intro video. Here's my slide deck on how to make them. Here's a Google Drawing Template you can use. And below is my more detailed how to video demo. Looking forward to seeing your Tour Creator Drawings! ISTE 2018 is off to a pre-conference start. I had the opportunity to listen to Dr. Resnick of MIT https://web.media.mit.edu/~mres/ speak on Scratch 3.0 and the new features we are about to see. I’m on board with it, and excited for what’s coming. My only reservations are the provided materials may be blocked (YouTube), no collaboration features, and a lack of ability to see the code as a syntactical language. Dr. Resnick asserts Scratch 3.0 provides more ways to create and more ways to get started. The editor has a new look which provides a better user experience.It even works well with iPad. I checked. It has a nice new add sprite function with a library of sprites showing costumes like gifs as you mouse over. It was brought to my attention by a friend that I have been redirecting my naked domain of claycodes.org to the new Google Sites essentially hosting a site for free. The question is how the heck did I do that? Well here's the show from Google and here's the how from me below. 1. 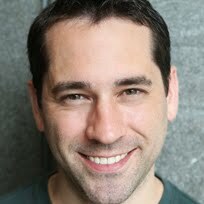 Create a New Google Site to redirect to. 2. Publish the site to a folder on your site directory. Be sure to Manage your setting so "Anyone can find and view". 6. I recommend keeping the NewSites setting, 7. At Site location enter the Site Folder Name from when you published. Be sure your site is on the domain selected.